A homework packet for Easter Break will be sent home on Monday. 1. On Wednesday, April 17th there will be an 11:50 dismissal for Kindergarten. There will be no Afterschool Program. 2. Easter Recess begins April 18th and classes will resume on April 29th. This week there will be homework on Monday, Tuesday, Wednesday, Thursday and Friday. 1. Spelling Test will be on Thursday, April 11th. There will be 6 new words this week. 2. Children should log onto their Mathletics account from Sunday, April 7th to Sunday April 14th for the Mathletics Competition. 3. On Wednesday, April 17th there will be an 11:50 dismissal for Kindergarten. There will be no Afterschool Program. 4. Easter Recess begins April 18th and classes will resume on April 29th. 1. The plate money for our keepsake project ($14) is due on Thursday, April, 4th. 2. This weeks spelling test will be on Thursday, April 4th. 3. There will be an 11:50 dismissal on Friday, April 5th for our monthly faculty meeting. 1. Spelling resumes this week! 2. There will be a $1 N.U.T Day on Friday, March 29th. 3. There will be a Food Pantry Collection on Friday, March 29th. 1. Money for the Queens College Field trip is due on Tuesday, March 12th. 2. Spring Picture Day is on Thursday, March 14th. If your child is taking pictures on this day then they can wear whatever clothes you would like but with sneakers as usual. If your child will not be taking pictures this day, then they must come to school in their uniform. 3. Friday, March 15th we will celebrate the letter P with our pajama party. 4. Please send in your report card conference time paper as soon as possible. 5. The spelling test for this week will be on Friday, March 15th. This week there will be homework on Monday, Tuesday, Wednesday and Thursday. 1. On Wednesday, March 6th the children will receive ashes in the classroom for Ash Wednesday. 2. On Thursday, March 7th, the pajama party fee is due. This is CASH ONLY as we will be shopping for supplies over the weekend. This is the day we are collecting the money, NOT the day your child should come to school wearing pajamas. 3. There is no school on Friday, March 8th because of a professional day that the teachers must attend. 4. Spring Picture Day is on Thursday, March 14th. If your child is taking pictures on this day then they can wear whatever clothes you would like but with sneakers as usual. If your child will not be taking pictures this day, then they must come to school in their uniform. 5. Friday, March 15th we will celebrate the letter P with our pajama party. Notes with further information will be sent home. 6. On Thursday, March 21st there is an 11:00 dismissal for report card distribution. There is no Afterschool Program. The bus will be available. 7. There will be no school on Friday, March 22nd for the teachers Faculty Retreat. 1. There will be a SNT food pantry collection on Thursday, February 28th. This week there will be homework on Monday, Tuesday and Wednesday. to your child which they will wear all day! 2. Thursday, February 14th is our bowling trip that will take place in the afternoon. 3. School will be closed from Monday, February 18th to February 22nd for winter break. School will re-open on Monday, February 25th. 2. The Spelling Test this week will be on Friday, February 8th. 4. Thursday, February 14th is our bowling trip that will take place in the afternoon. 1. The Spelling Program begins on Monday, January 28th. For more information go to the page on this website called "Our Spelling Program". The first spelling test will be on Thursday, January 31st (since Friday is a half-day). 3. The Bowling Trip Form and Money are due by Friday, February 1st. This week there will be homework on Tuesday, Wednesday, Thursday and Friday. 1. Progress Reports will be distributed on Thursday, January 24th. 2. There will be a $1 N.U.T Day and Food Pantry Collection on Friday, January 15th. 1. There will be no school next Monday, January 21st for Martin Luther King Jr. Day. 2. On Monday, January 28th our Spelling Program begins. For more information look at the page on the website titled "Our Spelling Program". 1. There will be a $2 N.U.T Day on Friday, January 11th. This week there will be homework on Wednesday, Thursday and Friday. ​1. School resumes on Wednesday, January 2nd. 2. There will be an 11:50 a.m. dismissal on Friday, January 4th. This week a homework packet for Christmas recess will be sent home. It will be due on Monday, January 2nd when we return to school. 1. Kris Kringle gifts are due Monday, December 17th. 2. The school's Christmas concert is Wednesday, December 19th. There will be no afterschool program. If attending the Christmas Concert, the children should be brought to Tolentine Hall by 6:30 p.m.
3. There is no afterschool program on Thursday, December 20th. 4. Friday, December 21st, there is an 11:50 a.m. dismissal. There is no afterschool program. 5. School will re-open on Wednesday, January 2nd. Have a great week and a very Merry Christmas!!! 1. Kris Kringle gifts are due by Monday, December 17th. They must be wrapped. 2. The school's Christmas concert is Wednesday, December 19th. There will be no afterschool program. This week there will be homework on Monday, Tuesday, and Wednesday. 1. On Thursday, December 6th there will be a 10:50 dismissal for report card conferences. Report card conferences and distribution is at the time that was given to you. 2. There is no Afterschool Program on Thursday, December 6th. 3. There is no school on Friday, December 7th due to a Professional Day for the teachers. 1. There will be a $1 N.U.T. day on Friday, November 30th. 2. This Friday, November 30th there will be a Food Pantry Collection. 3. This Friday, November 30th is the last day of the chocolate sale. 1. There is an 11:50 dismissal on Wednesday. 2. There is no school on Thursday, November 22nd or Friday, November 23rd. This week there will be homework on Tuesday, Thursday and Friday. 1. There is no school on Monday, November 12th for Veteran's Day. 2. Friday, November 16th will be a N.U.T day. 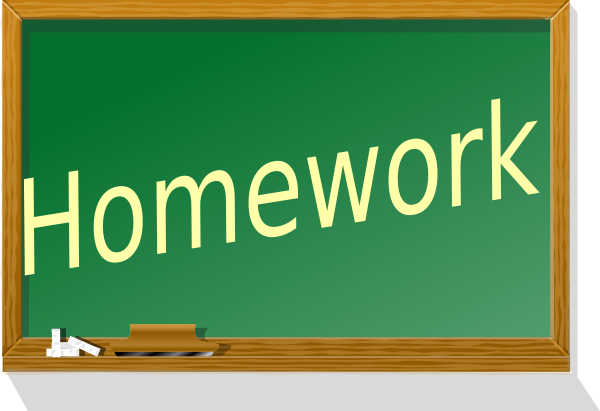 ​This week there will be homework on Monday, Tuesday, Wednesday, Thursday and Friday. 1. Veteran's Day Breakfast is on Friday, November 9th. 2. There is no school on Monday, November 12th since it is Veteran's Day. This week there will be homework on Monday, Tuesday, Wednesday, and Thursday. ​1. The Chocolate Drive begins on Monday, October 29th. 2. Students cannot come to school wearing a Halloween costume on Wednesday. They can wear Halloween colors. 3. Friday, November 2nd is an early dismissal at 11:50 since it is the first Friday of the month. This week there will be homework on Monday, Wednesday and Thursday. 1. Monday, October 22nd there will be vision screening for Kindergarten. 2. School is closed on Friday due to a Professional Day. 3. The Chocolate Drive begins Monday, October 29th. 4. On Halloween, October 31st, students are not allowed to dress in costumes. They can however dress in Halloween colors. This week there will be homework on Monday. Tuesday, Wednesday, Thursday and Friday. ​1. There will be a $2 N.U.T Day on Friday, October 19th. There will also be a food collection for the food pantry. If you want to donate food to this, please send it in a plastic bag. 2. Progress reports will be sent home on Tuesday, October 16th and must be signed and returned by Wednesday, October 17th. 3. Friday is Denim Day with the money being raised going to Breast Cancer Relief. A note about this will be sent home. ​This week there will be homework on Monday, Wednesday, Thursday, and Friday. Please make sure your child puts there name on it! 1. This week is Teddy Bear Week. The students should bring in a teddy bear to spend the week in the classroom. If you do not have a teddy bear you can send any stuffed animal in. By Monday, October 1st all students should bring in their construction paper bear for the Teddy Bear Hall Display. 2. On Monday we will begin our behavior chart. Check your child's folder every day to see their calendar. 3. Individual pictures will be taken on Tuesday. 4. Class pictures will be taken on Thursday. 5. Friday is a half- day of school, the children will be dismissed at 11:50 a.m. Thank you and have a great week!! This week there will be homework on Monday, Tuesday, Wednesday, Thursday and Friday. On these days please check your child's folder and please do not forget to have your child put their names on it!! 1. All supplies are due tomorrow, September 24th. If you still have not given in supplies please make sure to do so as soon as possible. If you still owe supplies remember to put your child's name on it so I can keep track of who gave in. 2. Scholastic "Let's Find Out" money was due last Tuesday. If you have not given in the $11 for this send it in as soon as possible. 3. Last Thursday I sent home a Scholastic book order but forgot to put a due date. The due date for those orders will be this Friday, September 28th. 4. It is becoming cooler out and the student's are starting to wear their sweatshirts. Please make sure that your child's name is on the tag or somewhere on the inside so I can tell who it belongs to!! Thank you for everything and have a great week!! This week there will be homework on Monday, Tuesday, Thursday and Friday. On these days please make sure you check your child's folder so they can complete it. 1. The $55 dollar supply fee was due on Friday, September 14th. If you have still not given that money in please send it in as soon as possible!! 2. On Tuesday, September 18th the $11 for Scholastic's "Let's Find Out" magazine is due. If you have not already done so please put this in an envelope with your child's name and "Let's Find Out" written on it. 3. The supplies that we use for our classroom (paper towels, tissues, Purell, Clorox Wipes, Regular Wipes and the ream of paper are due on Monday, September 24th. Please put your child's name on everything so that I know who sent it! 4. Last Monday, I sent home a Scholastic Book Order. If you want to order for your child please be sure to send it in by tomorrow, September 16th so that I am able to place the order in time. As always thank you and have a great week! Homework this week will be on Wednesday and Friday. Here are some important reminders to keep in mind for the next week!! 1. Next Thursday, September 13th will be our Open House at 6:00 p.m.
2. The first N.U.T Day (No Uniform Today) will be Friday, September 14th. Students can come to school not in their uniforms on this day if they bring in a donation fee of $2. 3. The supply fee of $55 is due Friday September 14th. When handing this in please put it in an envelope with both your child's name as well as the words "supply fee" written on it. 4. The Let's Find Out money for Scholastic is due on Tuesday, September 18th. Please also put this in an envelope with your child's name and the words "Let's Find Out" written on it. 5. The classroom supplies mentioned in the welcome packet are due by Monday, September 24th. When giving in the supplies please make sure everything has the child's name on it as well as our class (K-3). This makes it much easier to identify which child brought in the supplies. As always thank you for your cooperation and help! !